A crazy out of work actress, Vashti Blue, spends all her time in her small apartment with her pet owl and her telephone, which she uses to try and solve all her problems with life. The Top 10 One-Man-Band Films! A computer wiz woman/W.Goldberg works at a computer terminal in a NYC bank. One day she gets a strange message and breaks the code. Suddenly, she finds herself in the middle of dangerous spy business. A mentally disabled man gets help from a sociopath when he tries to reunite with his dying father, who years earlier disowned him. Rita is a tough narc cop with a wig for every occasion. Outside a drug heist scene with several bodies and a hardly cut fatal drug, Fatal Beauty, she finds a Kroll Construction van with a dead Kroll employee in it. Who is Kroll? A comedy about making it on Wall Street. Prejudices are hard to break and Laurel Ayres quickly learns that in order for people to take her seriously she has to work for an older white man or be one. A rich young boy arranges to be kidnapped so he'll get more attention from his parents. South African teenagers fight against apartheid in the Soweto Uprising. This movie itself is incredibly stupid. I did not understand the entire plot (if you could call it that) was all about. There was one redeeming feature of the movie if you are a true Whoopi fan. This movie showcases her acting and solo performance ability. 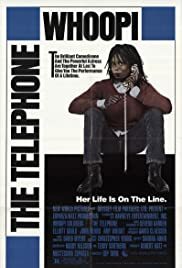 I would not recommend this movie to any except a true Whoopi fan.